10:30 am is not too early to enjoy a housemade beef (stamped with a capital B) pie (the pork pie is unmarked). At Hartley’s Pork Pies in Lincoln, that actually may be the only time you’ll get one since they can sell out before 1pm. 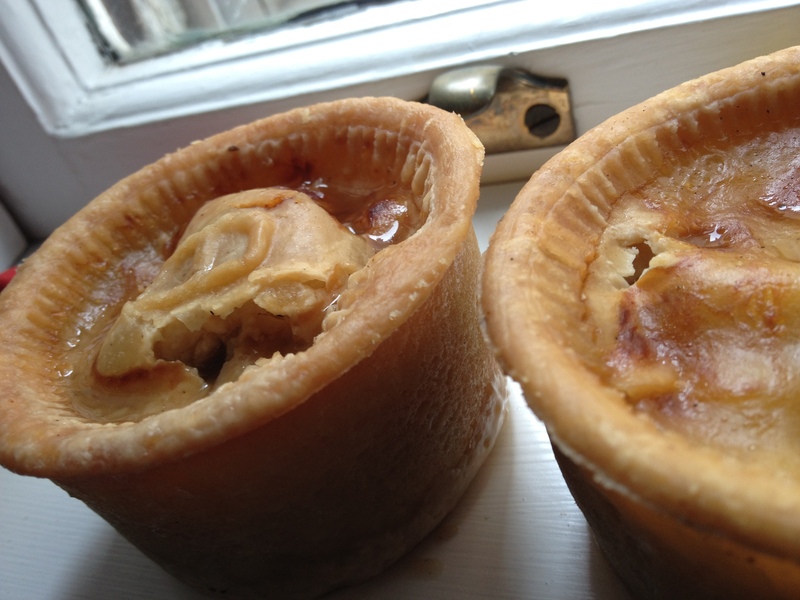 The hot pies fresh out of the oven have a thick homemade crust providing the perfect balance to your choice of meat. The ring of liquid on the top of the crust hints at the savory broth within. I grew up on these pies and absolutely loved them. Was wishing for one the other day! The Hartleys were our neighbors in Arnold’s Mills where I grew up. Wish that I could I could have some shipped to me. Truely great Rhode Island soul food!